Hello readers of 'The Camera's Lying' blog, you have probably noticed that this post is a little different as Amy and I have swapped blogposts! So Hello fellow readers of 'The Camera's Lying'. 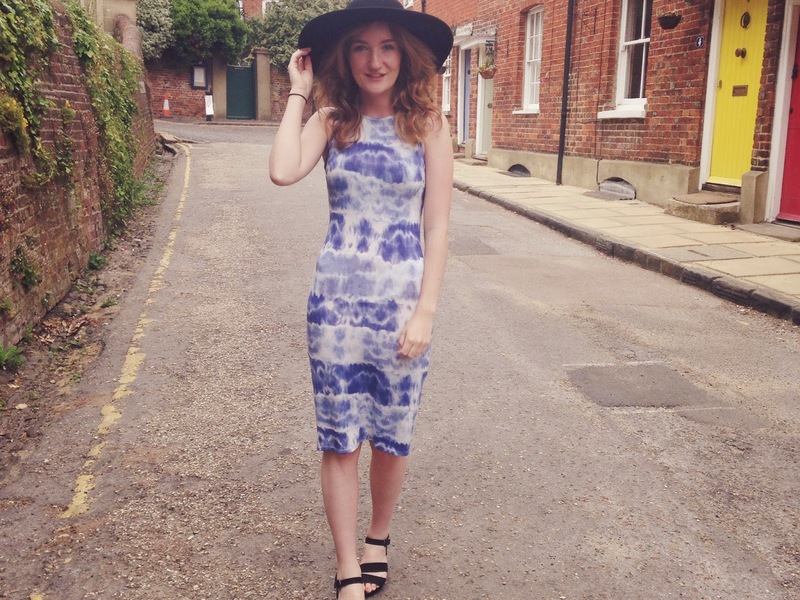 My name is Fay, from the blog 'FayBurmingham' and Youtube channel 'FayBurmingham'. Amy contacted me asking whether I wanted to do a guest blogpost for each others blogs, and of course I accepted! It's a great idea to introduce our readers to other bloggers, and do something a little different! 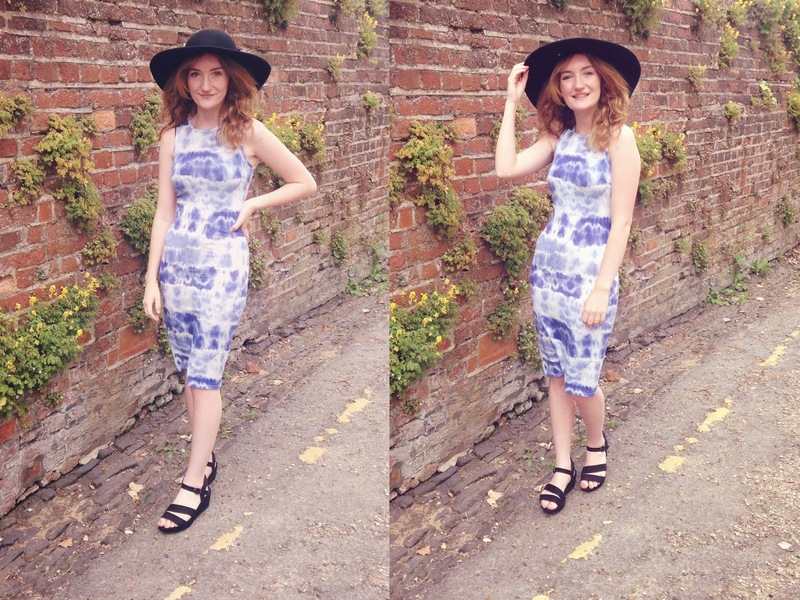 So if you'd like to see Amy's outfit of her day in Eastbourne, head on over to my blog to see the photo's! I took a trip into town today to pick up a few things from Superdrug, it was that time of the year when the excitement of buying the 'Shade 2' of my collection concealer came, which is a sign for me it's officially summer and the sun has given me a slight glow. My makeup is now far too pale for me, which for a makeup addict like myself, just gives me an excuse to buy more! 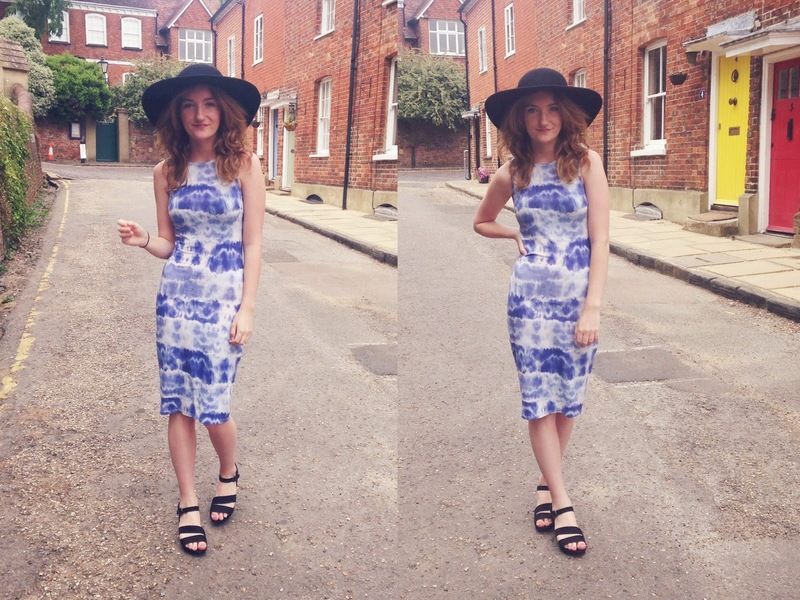 It was a beautiful day today so I took the opportunity to put on my midi dress from Primark which I bought last year. 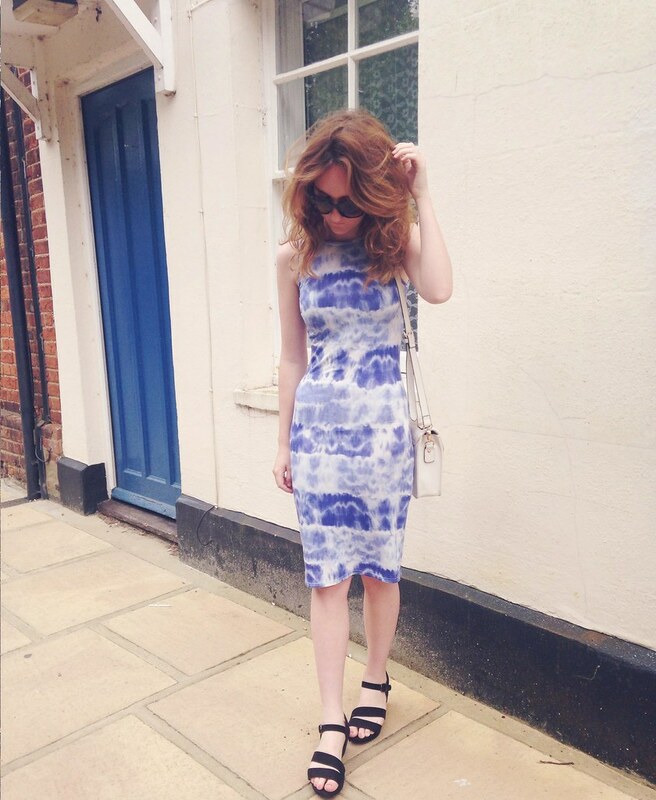 I love the tie dye print as it makes me feel summery and I love the colour! It cuts off just above my knee, and is quite snug fitting which I quite like. I paired it with my 'flat-form' shoes from New Look which have basically been attached to my feet since I bought them. Then to complete the look, I put on my black hat from Topshop which makes any outfit look a bit more put together, plus my hair was crazy wild today so I had to tame it somehow! I also carried all my essentials I needed in my cute little cream bag from Accessorize, which again I can't get enough of! I hope you enjoyed this post and let me know if you liked the 'guest post' idea! 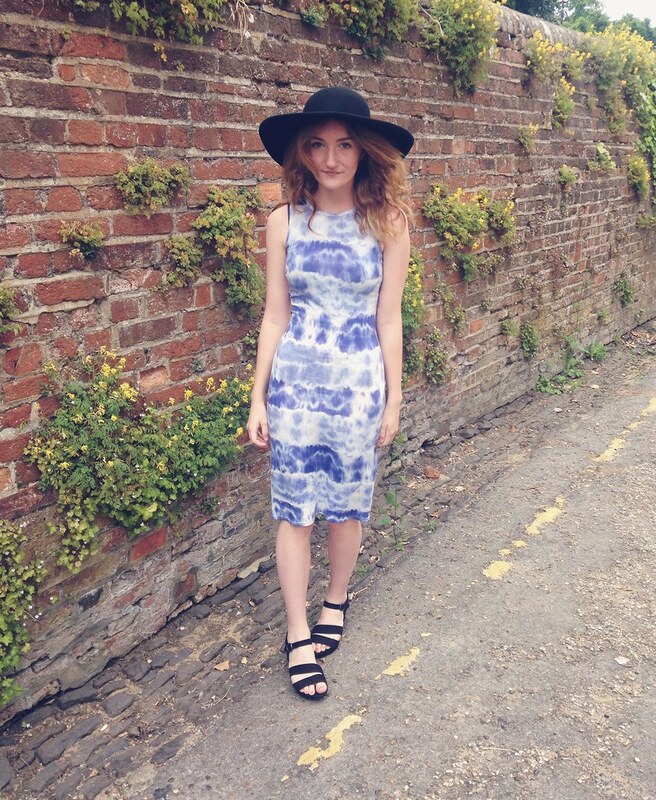 Don't forget to take a look at Amy's outfit over on my blog! Thank you for reading and thank you to Amy for the collaboration!